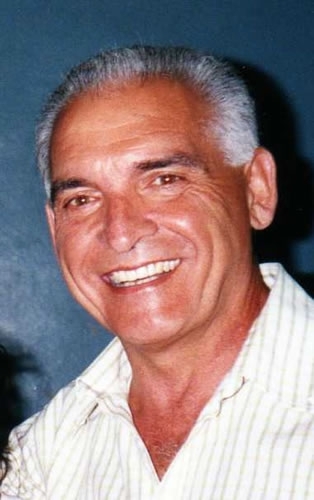 Also in the New Age there will be a total respect for diversity – which is wealth – a manifestation of Intelligence, the reflection of the immeasurable Creative Cosmic Power. The International Day of Yoga – IDY, is the Bíja – Seed of those Principles, the awakening of the Consciousness of the Grand Human Brotherhood, that is intended to be Fraternal, and always Solidary, where all people are important because they came from a common DNA. 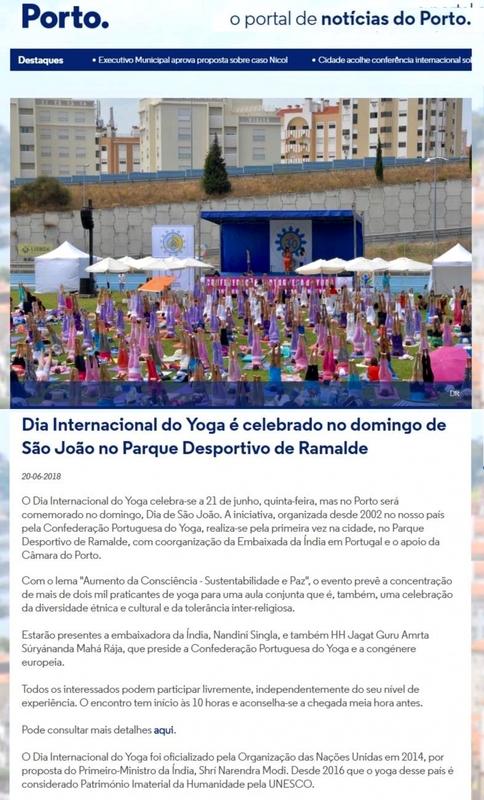 Under the leadership of Jagat Guru Amrta Súryánanda Mahá Rája the Portuguese Yoga Confederation has done stellar work in the promotion of Yoga in Portugal and beyond. 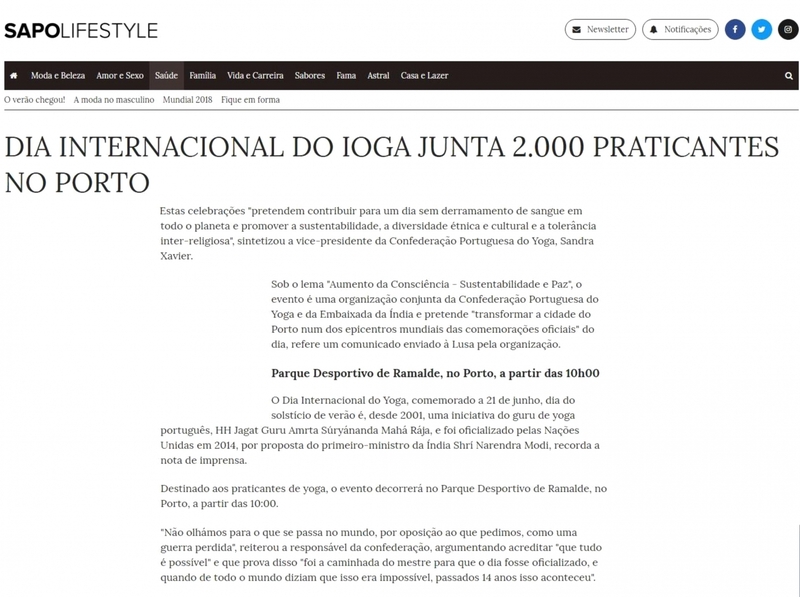 (…) The Portuguese Yoga Confederation is an ambassador of peace and goodwill for India. [Yoga] integrates in the practitioners elements of every belief and race; it is practiced in every continent, and by people of all ages. Yoga is Universal. Harmony of human body and mind with the nature is the central theme of Yoga. Celebration of the International Day of Yoga coinciding with the Solstice is a re-affirmation of this central theme. For many, Yoga is not only a method, but it’s also a life philosophy. To nurture the inner and outer harmony with oneself, with others, with nature and planet, should be supported, exercised and publicized. 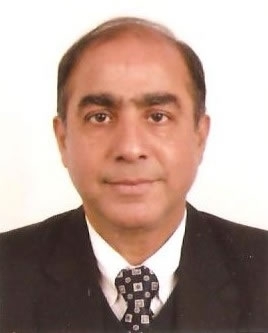 The fundamental principles and ethical and moral values that guide Yoga – tolerance, justice, conviction, truth – present in Sports as well in Life, constitute, in fact, a way to contribute positively and effectively to fight the major challenges posed to humanity! Yet the significance of Yoga remains in that it helps us to move towards good health, peace of mind and to make us contribute to make the world around better. 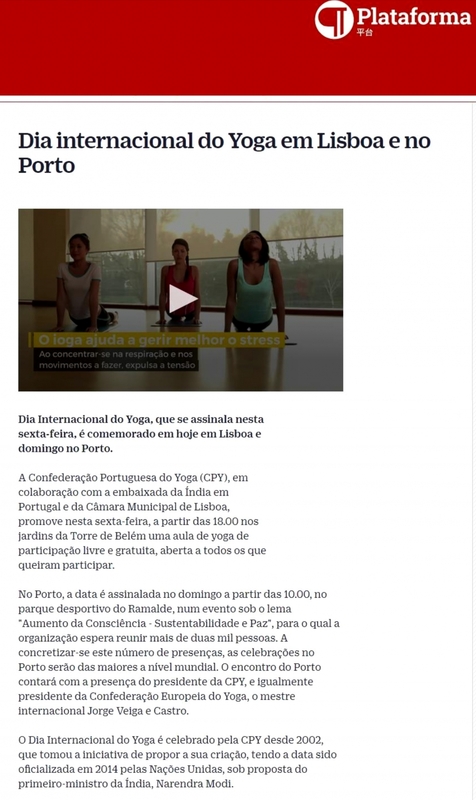 I take privilege in congratulating you for hosting International Day of Yoga in Lisboa, Portugal. Your initiative to spread yoga to promote spirituality is commendable. So That all can build up peace in body and poise in mind and live a lovely life within their means with full contentment and satisfaction. May the International Day of Yoga inspire those who are not on the path of Yoga to understand & walk the Path. Yoga helps one to unite to discover the SELF which is FULL and COMPLETE. International Day of Yoga is a celebration of that blissful and divine union which imparts eternal peace and perennial joy. The proclamation of this Day on the occasion of the June 21st Solstice signifies the Highest Level of consciousness – the Supreme State of Being. Yoga these days has become the culture of the day. Today it has spread all over the world. It is very welcoming effort to take this awareness further. Yoga is the redeemer. We need to synergise the efforts of all Yoga Institutions in the world towards this objective of bringing peace, health, harmony and a globe of fearless love between countries and countries. Yoga, being a way of life, deals with maintaining a state of mental and physical equilibrium under all circumstances. Yoga is the science of cleansing the ecology of the heart and realizing the beauty and grace that is forever within us. 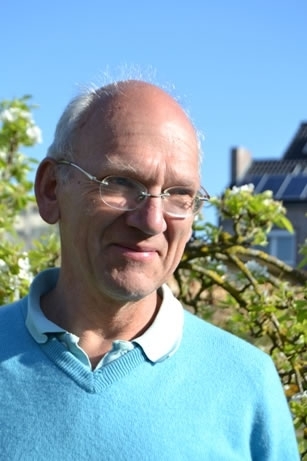 An awareness of the self as a spiritual being and a loving, empowering connection with the Divine will enable us to change our thinking and behaviour and bring about a world of peace, truth and beauty once again. Yoga is not only about making our bodies healthy, strong and flexible. It teaches us to make ourselves healthy, strong and flexible. In times when Yoga has become a global phenomenon, it is necessary that reverence be given to this ancient science, which thousands of years old. In a spiritual sense, man is born in ignorance but is not destined to remain so. Yoga is a way of moving from ignorance towards knowledge. The wisdom, culture, and practice of Yoga have the power to unite all communities, be they religious or secular, in their quest for inner fulfilment, mutual respect, and service to God and other living beings. Yog offers an excellent means of achieving the goal of “YOGMAYAM VISHWAM KURU” (bringing about Global Pace, progress and prosperity). Yoga is an in-depth, wholistic, science of man and indeed the only science that deals simultaneously with all aspects of the philosophy, psychology and practicality of conscious evolution. Yoga is beyond and above religion, Yoga is universal. It is the most natural way of maintaining health of the body, mind and spirit. International Day of Yoga (...) is an important event, bringing various Yoga Schools and Organizations together toward creating a more enlightened and peaceful world. International Day of Yoga is a valuable celebration dedicated to the value of this ancient discipline and its ability to transform, heal and enhance the quality of human life. The summer solstice marks the point when the Sun appear at its‘ zenith as seen from the poles and also marks the beginning of summer. It is fitting that this shift from periods of greater darkness to more light, from cold to warmth, should been chosen as International Day of Yoga. 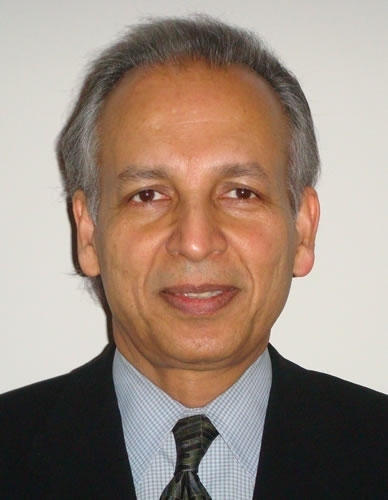 On behalf of the Parliament of the World's Religions, I send may warm wishes for your gathering on June 21st with the hope that this will be a day of profound and lasting peace. Yoga is an ancient science that guides us to live moment-by-moment and thought-by-thought. It builds the inner foundation for Peace that will surely transform into a World at Peace ! (...) I strongly support and endorse the call for the Proclamation of an International Day of Yoga. Yoga is the Divine Universal Knowledge, the Science of learning and living the most purposeful life. (...) I am glad that H.H. 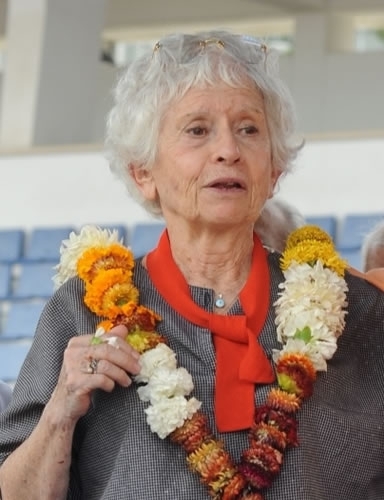 Jagat Guru Amrta Súryánanda Mahá Rája is providing inner empowerment to the masses by organizing the International Day of Yoga. 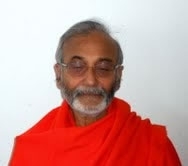 Shrí Jagat Guru Amrta Súryánanada Jí has been a great propagator of Yoga Philosophy by bringing in the great teachers and propagators of this Philosophy from many different groups from all over the world together on this auspicious Solstice day and conducting the International Day of Yoga. Yoga is the path of enlightenment that goes back to thousands of years in ancient India, and it teaches one to create a balance between life and the universe through mutual communion and development. 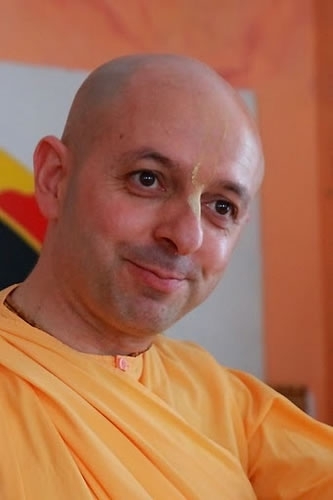 Acharya Swami Pranavananda (...) declared This is an Age of Universal Unification (...) the Portuguese Yoga Confederation has been working to propagate the same ideal. International Day of Yoga highlights this principle that has attracted all of us who assemble here today. Bringing together of so many stalwarts, teachers, preachers and Saints from across the world is dauting task but is being ably handled by Portuguese Yoga Confederations. May God, the Lord Almighty bless you. Yoga offers a practicing module for healing the diseased mind and body and therefore, it has earned for itself acclamation and appreciation around the World. Celebrating International Day of Yoga is a good occasion to remind the global community of the need and utility of a healthy mind. 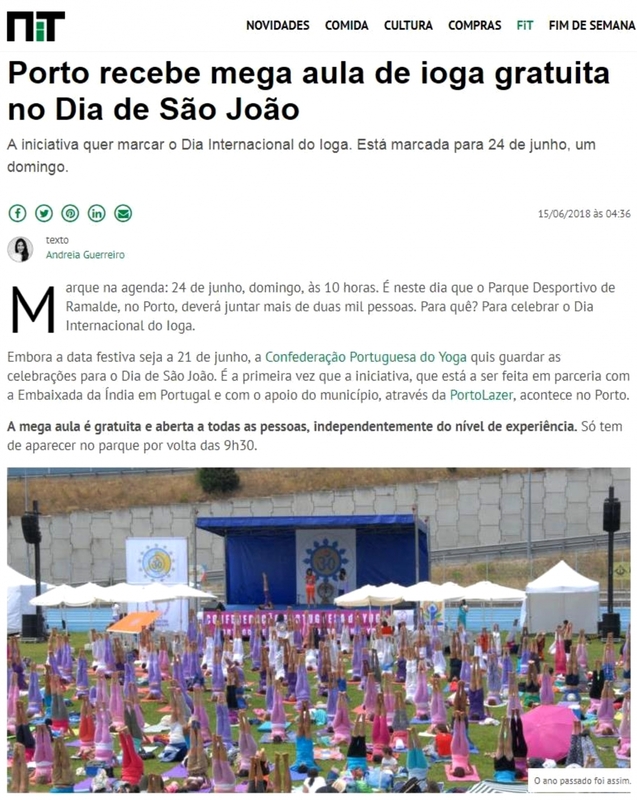 I congratulate Honorable Gurují and the Portuguese Yoga Confederation and Yoga Sámkhya Institute for organizing the International Day of Yoga and I pray this day will be a great success as the brothers and sisters from all over the World join hands to pray for world peace. One of the possible step to get this traditional science [Yoga] Globally popular and available for every human being would be announcing the official authorization of INTERNATIONAL DAY OF YOGA - JUNE every year. 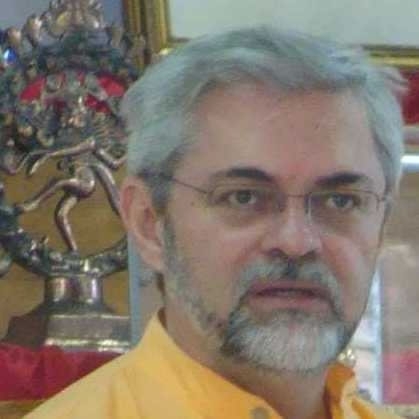 I join my hand with Svámin Amrta Súryánanda Jí and ensure all supports from all the members of Ujjain Yoga Life Society for his efforts in this regard. To choose a International Day of Yoga, especially adopting a date with such global and natural features as the solstice and gathering every part of the world in this spiritual egregore is a divine blessing to all of us and to all beings. 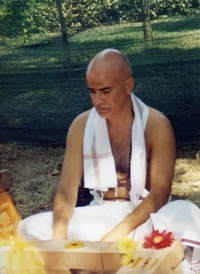 The summer solstice represents the ideal of Yoga, the highest Samádhi - the highest spiritual communion - and hence befits the idea of International Day of Yoga for people of all cultures and traditions, since Yoga is pure spiritualism that is present in every tradition and it is the play of the primordial energy, that makes everything happen. 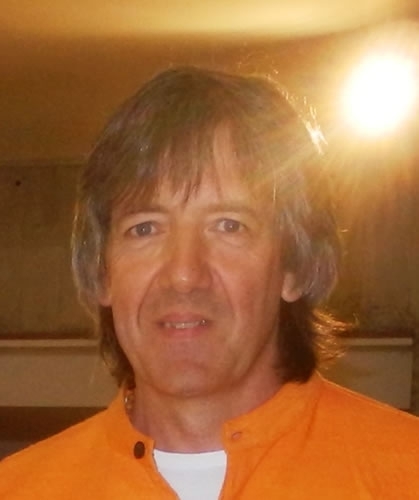 To be part of a message of love, peace, tolerance, spirituality, joy fullness gives me great pleasure and I hope that the leaders of the World will see more and more how spirituality is a real solution to many of the world's problems. Our souls are swimming in our Lord's Oceans of Mercy, and see that everything is a manifestation of our Lord's Oceans of Mercy - everything. The practice of Yoga, using breath and movement to bring harmony to body, mind and spirit, is a great gift to Humanity at large. Some main gurus representing traditional schools of Yoga would gather together to celebrate at this significant cosmic date a day devoted to Yoga to proclaim its importance as a spiritual force in the contemporary world. 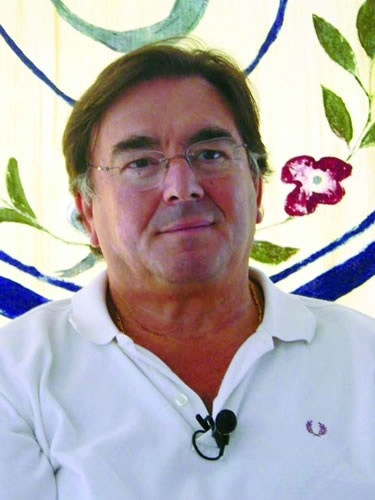 It is with great joy that I associate myself, with all my heart to the work of the Portuguese Yoga Confederation, and to its President, the Grand Yoga Master Jorge Veiga e Castro. I hope that through his precious initiative, the Yoga practiced in the West becomes increasingly stronger to resist the times of the Kali Yuga. INTERNATIONAL DAY OF YOGA is also the opportunity to experience unity in diversity. The universality of Yoga's teaching beyond creeds or ideologies, its adaptability and its enormous value as a reference in the pursuit of happiness, peace and love among the human beings does it of consideration and recognition. (...) From FEYS we support effusively the proclamation of the International Day of Yoga on June 21st, the Summer Solstice. 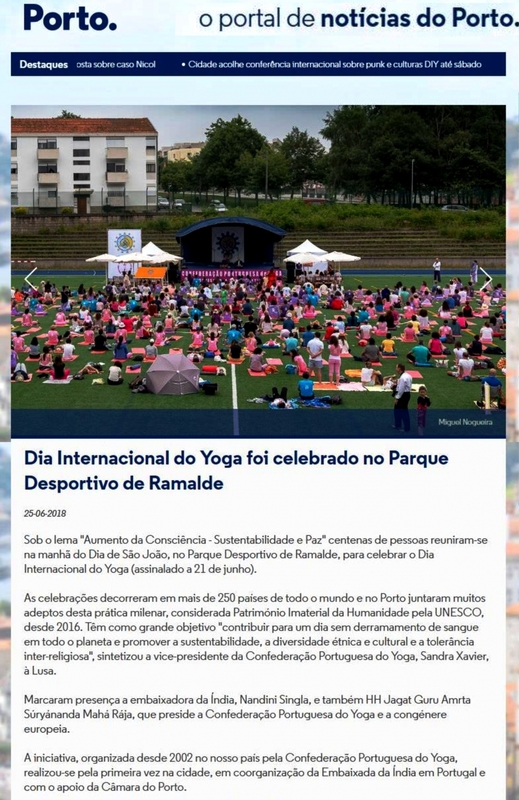 It is of paramount importance any initiative such as the organization of the International Day of Yoga, aimed at uniting the work of the Yoga Masters from around the world to build Universal Peace and Unity. 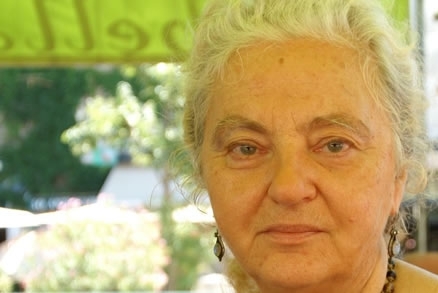 Thanks to Jagat Guru Amrta Súryánanda Mahá Rája, THE INTERNATIONAL DAY OF YOGA is an event of major importance that gives the possibility to meet people with different spiritual visions that have the same aim : the peace and prosperity all over the world. International Day of Yoga brings the attention to the practice of Yoga. 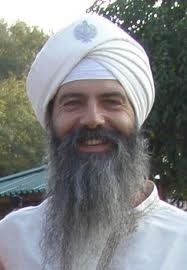 It unites the hearts of Yoga practitioners in the whole world. When Yoga practitioners are strongly united even for just one day, a vibration of peace will be created that travels around the world. With fullness of the yoga-heart, we commend all who have worked tireslessly to manifest International Day of Yoga (...). We know this confluence of spiritual souls and seekers will open many to the magical, mystical, miraculous powers of Yoga. The International Day of Yoga offers a wonderful opportunity to connect to each others and thus gather strength and momentum for the next step for spiritual movements : networking or cooperation. For their great work in spreading the ancient wisdom of Yoga, I salute and congratulate the Portuguese Yoga Confederation on the auspicious occasion of the International Day of Yoga. The Yoga Federation of Russia, with much pleasure and joy, welcomes and congratulates the International Day of Yoga and sends wishes for success for your celebrations ! It's very important to celebrate International Day of Yoga, in the way this day will apply this individual and universal harmony towards the human society, toward the world, towards every human being. 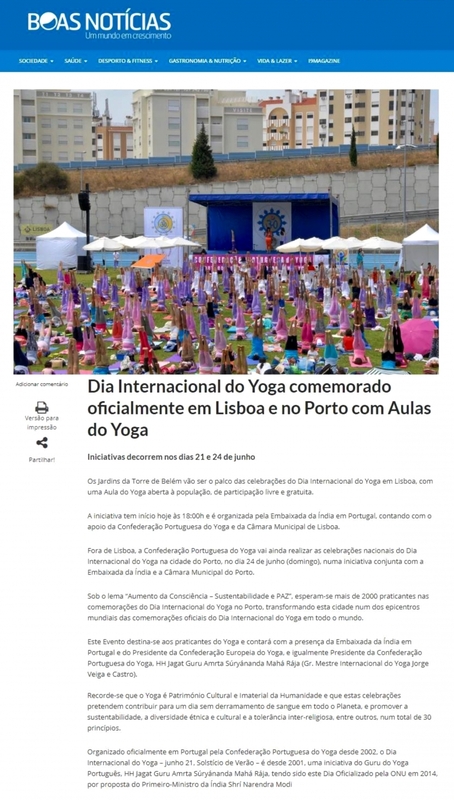 Organization of the International Day of Yoga by Portuguese Yoga Confederation is the contribution to the unity and partnership of all the people who take care of their body and are on the way of spiritual development. INTERNATIONAL DAY OF YOGA is an extraordinary occasion to reunite saintly, virtuous and good people ; their beneficial vibrations will positively inspire and affect the entire society. 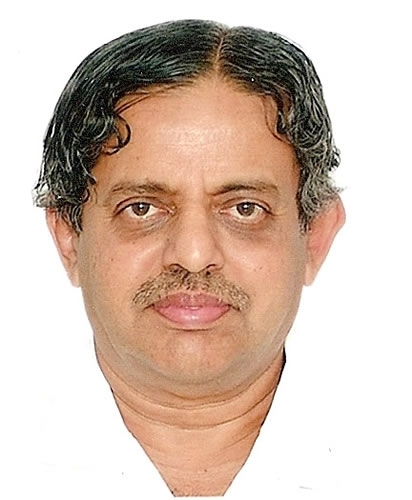 I believe that is very auspicious, that in such a special moment of the history of mankind and Europe in particular, the light and the Union, symbols of our beloved Yoga, surely, as energy beings that are, affect positively those who make decisions which are related to the lives of millions of human beings. The creation of such an important event in the longest day of the year, can only make flourish the most favourable events to raise human consciousness. I would like to thank H.H. 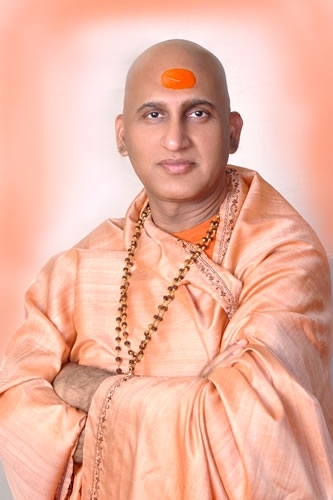 Jagat Guru Amrta Súryánanda Mahá Rája and his team for their commitment and efforts to serve humanity. The International Day of Yoga which was a grand success last year, and would be a greater success this year, bringing many leading Yoga teachers, practitioners and religious leaders in one conference, is a remarkable achievement. The 21st of June is a great day for all Yogi. 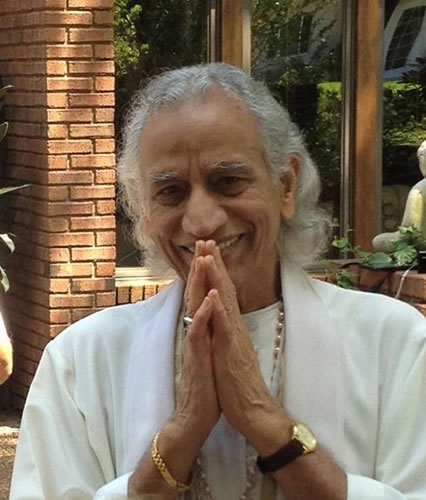 The Summer solstice of the year will be remembered in the world of Yoga as the cardinal day in which all who participate in it, will unite minds and hearts to vibrate in Guna Sattva Shakti and mightily contribute to rebalance peace in the world. A spiritual science, Yoga provides each of us the power to attain inner and outer peace. The Hindu American Foundation wishes you well - may the International Day of Yoga on June 21st bring collective harmony to our minds, bodies and intellects. The International Day of Yoga seeks to unite us all through the discipline of Yoga by bringing into the world harmony, peace & happiness. (...) These kinds of annual events being held outside India, where Yoga is originated, is proof of the positive effects that Yoga has had on the lives of people all over the world. Yoga is the most precious ancestral legacy given by sacred Rshi. (...) Let's welcome the inspiration of those souls who have entertained the idea of commemorating this important Day, which will allow many people around the world to achieve this sacred knowledge. In the era of increased human suffering and global crises, there is an urgent need of creating wisdom based society around the world. (...) This is possible by sound understanding of life integration processes, through the increased use of time tested sciences. The creation of the International Day of Yoga serves an important milestone in this direction. The United Nations Organization defines Health as : ‘Moral, physical, mental and spiritual prosperity.' The Yoga system is totally sanctioned through this definition, since it envolves moral, education, physical development, mental health and, last but not least, spiritual evolution. 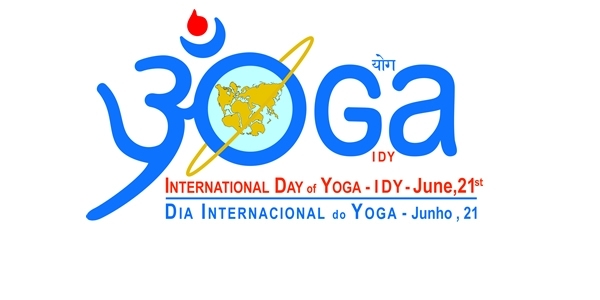 All scientists of the International society for Scientific Interdisciplinary Yoga Research from Belgrade send support to the proclamation of the International Day of Yoga. All professors of the International Academy for Yoga Teachers Education from Belgrade, Serbia give their warm support to proclamation of the World Yoga Day. H.H. Jagat Guru Amrta Súryánanda Mahá Rája has a powerful vision - that by gathering the world community in one place during the Summer's Solstice to honour Peace for all on the days we remember to invoke and celebrate our largess of inner harmony, and together, heart to heart, we safeguard the sacred purpose of humanity on this earth. Maya Tiwari - Director, Living Ahimsá Foundation & Wise Earth School of Ayurveda, Ltd. Being a celebration that is candidate to the UNESCO as the first Global Day of Humanity - on the Solstice, 21st of June, this Day for Fraternity, Inter Ethnic, Inter Cultural and Inter Religious, represents, to us, a moment of convergence of wills, among the entities, Beja's City Hall, and the Portuguese Yoga Confederation, towards chairing the highest expectations of Humanity and the will to build a better world. Yoga, as the healing and impartial sun light, is not confined to the East or the West. Whilst the Human Being has an agitated mind, Yoga - the path of the middle, of balance, wil be an absolute necessity. 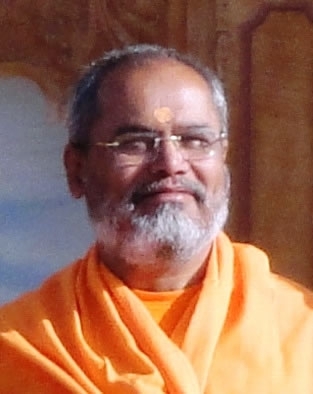 In the current context, when we persist in not learning from past mistakes, initiatives such as International Day of Yoga, which celebrates and promotes universal peace, in its boarder sense, are key movements for lighting the path of tolerance, respect for everyone and for what Nature so generously offers us every day. The International Day of Yoga Proclamation assumes a special importance in the spreading context, to a global scale, of this spiritual practice which holds values and expressions worthy of the attention and adhesion of the community. 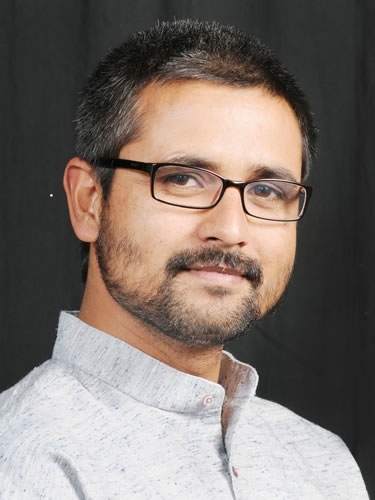 I am for non-violence, for unconditional love, for consciousness enlightenment and for any philosophy or practice which embraces these concepts. Being Yoga a philosophy and a practice that covers these concepts, nothing better than to celebrate them and reminding them to the World, on the day the Earth is enlightened for longer time and a transforming energy of love and joy invades us. The practice of Yoga and the spreading of its importance to the person's well-being, and the influence that it has on the collective, are never too much to report. The International Day of Yoga is mostly a world celebration, existing already a candidacy in the UNESCO for this day to become the first Global Day of Humanity, gathering a series of countries in one unique cause, peace and solidarity.